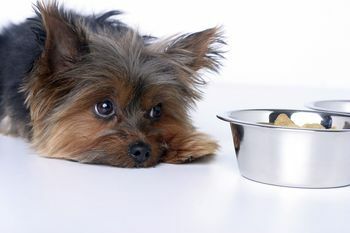 Changes in Appetite: Often, one of the primary signs your dog may be ill is a change in eating or drinking habits. If your dog seems uninterested in food but drinks more water than usual, you should talk to your vet as soon as possible. More serious and obvious signs of illness, such as diarrhea and vomiting, are cause for immediate action as well. Vomiting: Vomiting couple of times a day, particularly with other symptoms, such as lack of appetite and lethargy, is a symptom that your dog requires immediate veterinary care. If the vomit has a streak of blood, this is another good sign that your dog’s health is seriously worsening. Some causes of vomiting include free radicals in the intestine, poisoning, viral infections, gastrointestinal illnesses, liver failure, bloat, pancreatitis, parasite infections, and kidney failure. Decreased or Increased Urination: Urinating less or more for a day or two is not really a red light as it merely means that your dog hasn’t consumed enough water or had a lot. 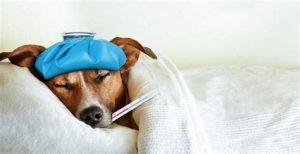 However, if your pooch is trained and still urinating inside the house, struggling to urinate, drinking too much, or urinating frequently, it may be the result of one of these issues: liver disease, diabetes, kidney infection, urinary tract infection, bladder stones, and adrenal gland disease. Pale Gums: Veterinarians advise dog owners to “check the gums” because gums change color often when a canine is ill. If you notice your dog’s gums are bluish, pale, bright red, yellow, or splotchy, it possibly means something severe. Conditions that may cause your dog’s gums to change their color include diabetes, liver disease, hypoglycemia, shock, anemia, poor circulation, overheating, blood clotting, carbon monoxide poisoning, and jaundice. Bad Breath: Bad breath meanwhile, is a sign of a metabolic disorder. Although it seems to be a small problem, it is still a good idea to take your dog to the vet. Balance Issues: These are classic signs of a neurological impairment. Any time your canine walks differently than normally and does so persistently, it could be a sign of a health problem. If left unchecked and unattended, a neurological illness in a dog could degenerate further and worsen the issue. More often than not, this kind of behavior implies not just an illness, but also a tumor, that might be terminal if you wait to have your sick friend checked. Restlessness: If your dog is restless or unable to settle down, it shows that he is experiencing discomfort and chronic pain. This can be a sign of many medical conditions, some of them not so serious, but is also one of the few consistent and easily observed signs of bloating. Of all the issues that can plague a sick canine, bloating may be the deadliest. Quick response is critical if your dog is to survive the illness. So, watch out for these signs and if you spot any of them, rush your dog to the vet immediately.